Am I Covered If My Employee Embezzles From My Business? The crime of embezzlement occurs when an employee has access to the funds of your business and steals it. Embezzlement is the theft or misappropriation of funds placed in someone’s trust. An example of embezzlement is when a cashier steals cash from the till. Another example is when your office manager diverts some of the business income from the company account into her own bank account. Astounding statistics from the United States Chamber of Commerce show that no less than one-third of business failures are a direct result of employee stealing. Their statistics also show that three out of four employees take something from their employer, and half of them do this repetitively. You can take steps to protect yourself from embezzlement by dishonest employees. Most are fairly simple and are worth the extra effort. Purchasing crime insurance is one of the best ways to protect against loss due to embezzlement. You cannot presume that your existing commercial insurance policy covers it or that it provides adequate coverage. The business insurance coverage you need and its cost will depend on a number of factors. The insurance premiums will be based on the amount of funds entrusted to employees, how many employees have access to business funds and property, the controls you currently have in place to prevent dishonest acts, and other factors that help evaluate the risks. An experienced Business Insurance broker can help you get the best policy for your business. Know the person you’re hiring. Before you hire someone, check into their history for any propensity to steal. 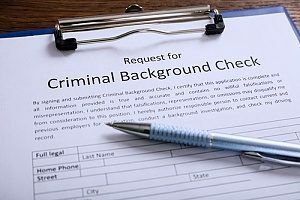 Particularly look for gambling, drug problems, extensive debt, criminal record showing dishonesty, or other factors that might pressure the person to steal. Contact their references and look into their behavior during prior employment. If you must hire someone with a propensity for theft, don’t entrust your cash to them and don’t give them access to your company’s bank account. The more people who can access your bank accounts to make withdrawals, the higher the risk that someone will be tempted to help themselves to some of it. 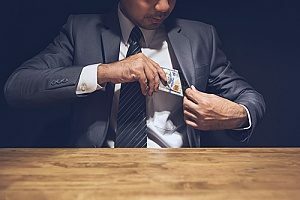 If you do experience embezzlement, limiting the number of employees with access will make it easier for investigators to identify the culprit and perhaps recover the some of the funds. Keep your cash and financial instruments under lock and key. Make it difficult for employees to access it, and make it easy for employees to put cash into a locked safe. Most restaurants and retail establishments use lockboxes with a small slot for depositing checks and bills in large denominations. These boxes can only be opened by one or two authorized employees. Signature stamps make it easy for anyone to stamp an endorsement on the back of a check and cash it. Don’t use them if you can avoid it. These devices are outdated and should be replaced with more secure automation systems. One of the best ways to prevent embezzlement of large amounts is to divide the responsibility for handling money. Assign different people to these tasks. Having more than one person required for signing checks for amounts above a predetermined amount. Dual signatures limit the risk that an employee will be able to write a check to himself or herself and make it look like a legitimate business expense. Use internet protocol (IP) cameras to record and monitor access to cash as well as incidents of stealing property and employee productivity. Access to cash registers or electronic access to funds should be controlled by employee passwords that they use to make transactions. Make sure your business is insured against employee dishonesty. Speak to knowledgeable business insurance brokers for more information about the best insurance coverage for your business.